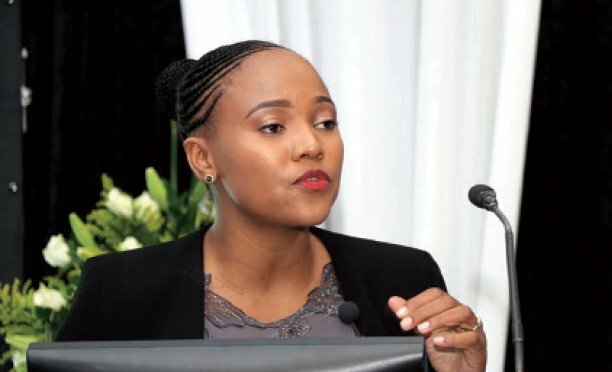 With over 13 years as a street vendor, selling vegetables, sweets and airtime, the 42 years old woman from Thamaga, Amogelang Daniel said hard work and commitment in business has been the driving factors as she has now grown to the next level boosted by the easy-recharge airtime. 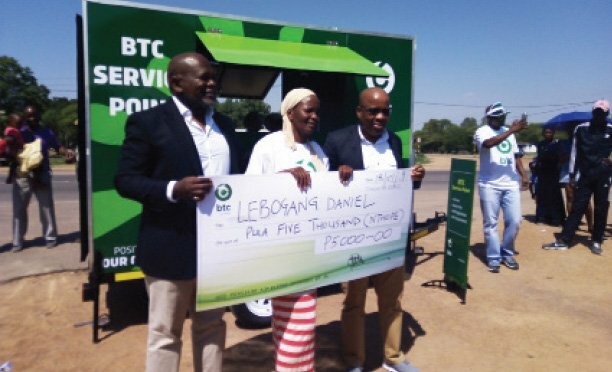 She won a mobile tuck shop worth P25 000 from BTCL after she recorded 163 percent increase in BTC airtime sales in three months. “I am very happy to receive this tuck shop because I will be able to work harder, increase sales and grow my business to the next level,” said Daniel. In a week, she buys bulk airtime worth more than P5000.00 from all three mobile telecommunication operators. She says recently there is a shift in airtime sales, as customers now prefer e-recharge to scratch cards. “I make a lot of money in e-recharge than in any other goods in the tuck shop. People now prefer e- recharge to scratch cards and this service is always in demand 24 hours. People call me during the night to buy airtime, so I don’t sleep in this business. It is in high demand,” said Daniel. In a month she saves a profit of up to P1500 at the bank. Last year October, BTC challenged its airtime hawkers to increase their airtime sales by 30 percent and the hawker who meets or exceeds the target would be rewarded with a trailor. Handing over the tuck shop, BTCL Indirect Sales Manager, Ephraim Tlogelang highlighted that through the Nthope promotion they want to empower local hawkers as well as increasing their sales. “Currently, we have more than 41 thousand hawkers registered and over 37 000 participated in the competition. 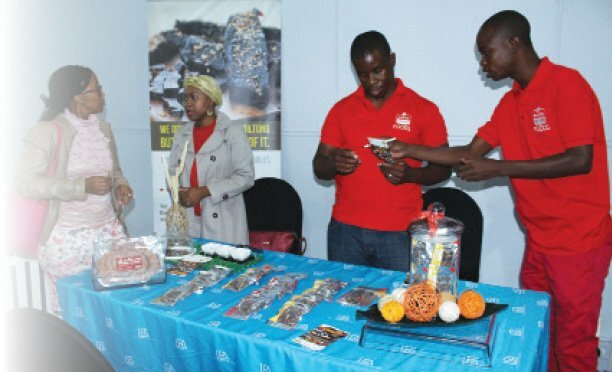 We still have three more mobile tuck shops to give away through this competition,” said Tlogelang.